Founded 55 years after the death of the body of the Soviet pilot Boris Alexandrovich Lazarev. The Hurricane fighter from Sergeant Lazarev from the 760th mixed aviation regiment of the 259th Fighter Division of the 7th Army of the Karelian Front was shot down in the course of an air battle on February 21, 1943 by the German pilot-ace, Oberfeldwebel Rudolf Müller from the 6th Squadron “Experttenstaffel” (6 / JG5 “Expertenstaffel”) of the 5th Luftwaffe fighter squadron and fell into a swamp 40 kilometers from the town of Louhi Karelian-Finnish SSR (the modern Republic of Karelia). The Soviet pilot did not have time to leave the plane and was killed at the time of the impact on the ground. 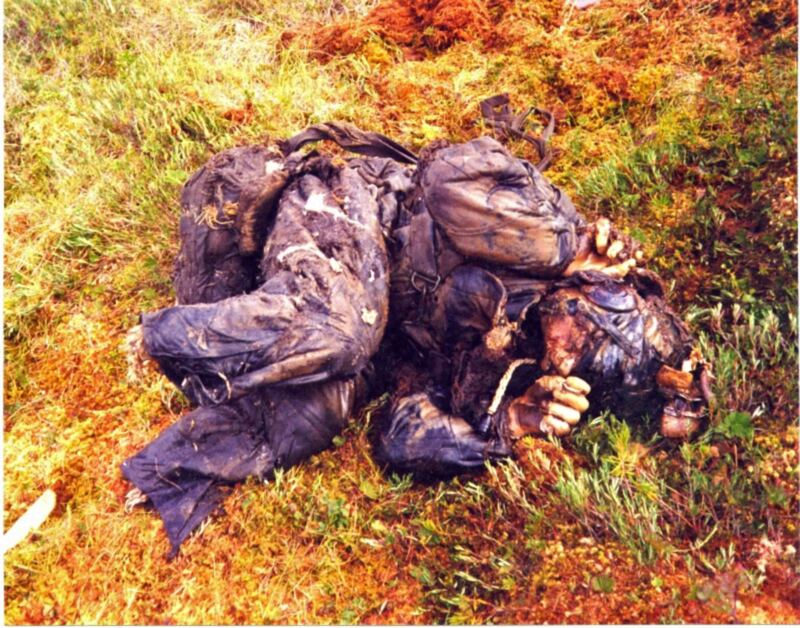 The plane with the remains of the pilot was raised from the swamp in 1998 by the St. Petersburg search group “Height”. The marshy terrain, petrol and oil from the engine of the fighter did not let the body of the deceased pilot decay. Only the face of the pilot was smashed against the dashboard, and his feet were torn off. In the cockpit of the pilot, flying glasses and a homemade knife with the inscription “Friend of Bor in the second year of the war” were found on it, a TT pistol hung on the waist belt of the pilot, a Red Army book, a Komsomol ticket, two letters and cartridges from a pistol were found in the pockets of the overall . Sergeant Lazarev, with proper honors, is buried at the memorial military cemetery in the village of Chupa in the Louhi region of Karelia. The details of the found aircraft were used during the restoration of another found “Hurricane” for the exposition of the Central Military History Museum on Poklonnaya Hill in Moscow. Relatives of the deceased have not been found so far.